In 1941, racial tensions are rising in the California community where nine year-old Sachiko Kimura and her seventeen-year-old brother, Nobu, live. Japan has attacked Pearl Harbor, people are angry, and one afternoon, Sachiko and Nobu witness three teenage boys taunting and beating their father in the park. Sachiko especially remembers Terrence Harris, the boy with dark skin and hazel eyes, and Nobu cannot believe the boys capable of such violence toward his father are actually his friends. What Sachiko and Nobu do not know is that Terrence’s family had received a telegram that morning with news that Terrence’s father was killed at Pearl Harbor. Desperate to escape his pain, Terrence rushes from his home and runs into two high-school friends who convince him to find a Japanese man and get revenge. They do not know the man they attacked is Sachiko and Nobu’s father. In the months that follow, Terrence is convicted of his crime and Sachiko and Nobu are sent to an internment camp in Arkansas, a fictionalized version of the two camps that actually existed in Arkansas during the war. While behind bars and barbed wire, each of the three young people will go through dramatic changes. One will learn acceptance. One will remain imprisoned by resentment, and one will seek a path to forgiveness. It’s filled with exercises to help writers create characters that will keep readers turning the pages. Who knows? You might even discover a little something about yourself! As with life, haiku’s power lies in its brevity. One of the most exacting and purest of forms of poetry, haiku consists of seventeen syllables, expressed in three lines of 5-7-5 syllables. In Life: Haiku by Haiku, the concise forms of haiku, senryu and tanka are used to capture singular moments of life, love and loss. 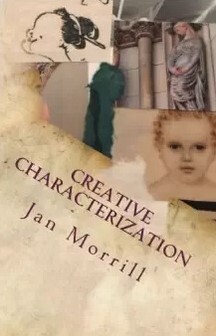 In more than sixty essays, Jan shares the challenges of becoming published, as well as memories of her family history and how they led to the story of her characters, Sachi, Nobu and Terrence. In reflections of current events, she discusses similarities to the events of the 1940’s and why it’s important that history be remembered. Doll in the Red Kimono is both a preview and a reading guide that gives insight into the writing process and how family memories and history became seeds for the story of The Red Kimono.